Synopsis: The beauty of Seattle's Greenwood lies in its contrasts. It is an old-fangled neighborhood with a trendy edge, where coffee shops and espresso bars mix with caf(c)s, shops, and galleries patronized by antique hounds. The locals dub it "Seattle's hidden treasure." Just south, Phinney occupies a high ridge that rises from the western shore of Green Lake. The neighborhood owes its name to Guy Phinney, a wealthy immigrant from Nova Scotia who developed the private estate that became Woodland Park. Together these neighborhoods have forged a common bond, illustrated by the formation of the Greenwood-Phinney Chamber of Commerce. The area hosts a world-class zoo and is home to the only Tibetan Buddhist monastery in the world outside of Tibet. About the Author&colon; Author Ted Pedersen came to the Greenwood-Phinney neighborhood in the summer of 1947, when his parents bought a home on Northwest Seventy-sixth Street. He attended Greenwood Elementary School and remained in the neighborhood for the next two decades. Now, after several years working as an author and scriptwriter in Los Angeles, he has returned to his Pacific Northwest roots. 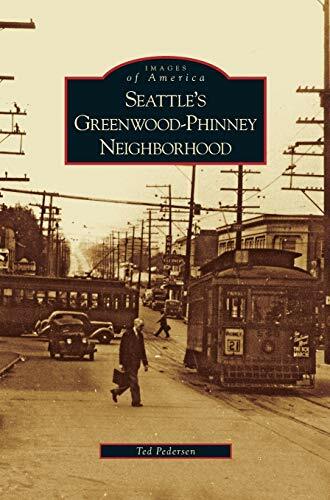 He brings his personal experience of the community to this book, using rare images from the Phinney Neighborhood Association and other local archives to illustrate the neighborhood s history.